If you do a google search, you will easily come up with numerous examples of this quote being attributed to Wesley. What you will not find is a citation of the source where Wesley is supposed to have actually said it. I cannot quote a print source for documentation that this is not in Wesley. However, I do have an email from Dr. Richard Heitzenrater that is a response to a query from a Wesley Studies email group that asked about the source of this quote. Heitzenrater basically responded to the email by saying – look for that quote in Wesley as long as you want, you won’t find it. It troubles me that this quote is so frequently attributed to Wesley, because to me it does not sound like something that Wesley would have said. In the email string that first made me aware of how often this is attributed to Wesley, someone commented that the quote was rather “braggadocious” and as a result did not sound like Wesley. I agree. It would not be characteristic of Wesley to say, “I do something awesome, and as a result people come to look at me.” Wesley’s desire was not to attract people to himself, but to point them to the risen Lord who he believed was their only hope of salvation. In any event, Wesley didn’t say that. We should stop saying that he did. Note: This is the second post about things Wesley did not actually say. To read the first post, click here. Kevin, I think some form of the quote goes back to the 16th century with the burning at the stake of either Latimer or Ridley during “Bloody Mary’s” reign. This is not the exact quote, but I think the quote you’re chasing can be traced to this event. Wow I’m guilty. I just quoted this last week. Concerning “I set myself on fire” my private theory (and that’s all that it is) has been that it is something out of Tyreman, since it cannot be found in Wesley’s published works. Methodists used to quote Wesley liberally without giving citations. But, then again if Heitzenrater says it’s bogus…. First let me say that it’s great to see younger men (no offense intended) with a passion to pursue Christ wholeheartedly. Our world needs more of them. For that matter, it needs more men who display Christlikeness. I hope you enjoy this quote by Edwin Cole, ‘Manhood and Christlikeness are synonomous’. My views on a couple of things here. While you may not find record that he said this, it doesn’t necessarily mean he didn’t. The first time I read this quote I didn’t in any way think it braggadocious. Quite the opposite. In context with the his story of why it was quoted, it brought me to my knees in tears asking for this fire of passion that would stand up in the face of opposition and resistance to God doing a new thing at that time and in our time. I don’t believe that this quote would have been drawing attention to himself. I believe each day we need to ask God to set us on fire. I would use the term, I need to set myself on fire for God. This is not an arrogant statement, but one of fact. God will not violate our will. He asks us to cooperate with him and if we don’t set ourselves on fire it’s because we are wet wood, or a lamp under a basket. God commands us to ‘stir up the gift’. To stir up means to fan into flame, or to set ourselves on fire as the quote states. The fist time I heard this was from a business book by Mark Sanborn. God is at work in every facet of society. It’s not too often you hear preaching with such passion, let alone a business book. I’d like to leave one other quote with you that has made an impact in my life. http://www.snopes.com has a Religion section; a page of Wesley misquotes may be a little too specialized for them, but you could ask. 2. What exactly is the point behind who the quote is from? Would you be pointing out that the “founder” of less “fiery” denominations never said such things, so it’s fitting to lack the “fire”? I’m just not sure why it matters. One of the major motivations for me in writing this post is that I am an historian of early Methodism. Perhaps it is an occupational hazard, but to me the details matter. John Wesley’s life and written words have been chronicled with quite a bit of detail. Because of his fame in later life, libraries and private collectors have originals of many of the letters he wrote. We also have published versions of all of his published journals, extant diaries and more than 100 sermons. Of course every word he said is not captured in his published works. However, the phrase in this post does not occur in anything that reliably comes from John Wesley. The only motivation behind the post is that there is no historical evidence that Wesley ever said “I set myself on fire and people come to watch me burn.” There is no deeper ideological or theological issue behind this. 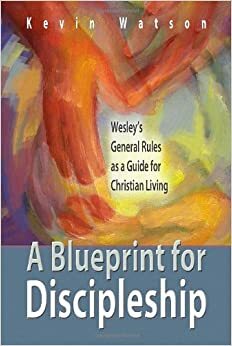 For what it is worth, in discussions with other scholars in Wesleyan Studies or Methodist History, no one has ever suggested to me that they have any evidence or reason to believe Wesley did say it. From my perspective, whether you like the quote or not does not make it more or less likely that Wesley actually said it. I also think people are free to continue using the quote. My preference would simply be that they not attribute it to John Wesley. 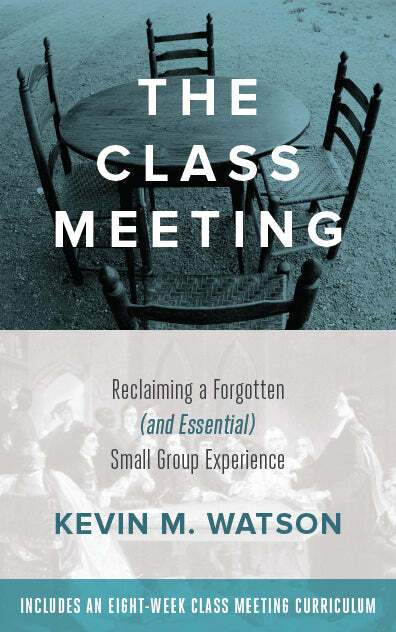 As a fellow student of Wesley and early Methodism, thanks, Kevin for posting this! I stumbled on this article while trying to authenticate this quote to Welsey, because I heard it in a sermon and wanted to use it myself but of course needed a primary source instead of a secondary one. From what I heard of this quote, it was in the context of a conversation someone had with Wesley rather than Wesley writing it himself, therefore the quote would not be in his work but someone else’s. Has this angle been researched? But as a proclaimer of truth it is vitally important that what I say is true even in small matters of attributing quotes to the right people. So thank you for this material! Okay, we get it! Would you have been any less offended if he attributed the comment to “someone once said . . .”? Great dialogue. I was going to reference Wesley on this one, but chose to do some last minute sniffing around to see if I could find a citation as to the sermon or journal entry that contains this quote. Pretty pleased to have stumbled upon this post and its comments. ‘Someone once said…’ seems to be a similar shock absorber. These little land mines are buried all over a congregation, waiting for someone to carelessly set them off. I’m pretty grateful to this crowd and to Kevin Watson for giving me one less spot to unwittingly blow myself (or at least some of my credibility) as I navigate any given Sunday morning without a really good map. Is it incorrect to see Canticles as Jesus and His beloved? I certainly hope not, for it is a massivley powerful encouragement to me. Yes, and just as it always is on twitter, there is no attribution to the quotation in the book you cite. It is a great story, but this citation does nothing to undermine the reality that there is no historical basis (beyond people asserting that he said it) for Wesley having said this. Actually none of these people wrote this. The quote is taken from scripture. Jeremiah 5:14. When applying that scripture to yourself, when preaching, you get the famous quote. I think it would be an interesting study to analyze the uses of such falsely attributed quotations: why are they used? in what settings? why Wesley? what does it say about the authority that Wesley quotes wield in certain circles? wave Wesley’s words always been used in such a manner? was there a day or time when Wesley’s words would have had no cache, thus people would have gained little by attributing such phrases to him? David, I completely agree. I think this would be a fascinating study! The way I’ve heard it was, “Get on fire for God and people will come to watch you burn.” This was an appeal for impassioned, Holy Ghost filled evangelism. As for a biblical basis, how about John the Baptist’s words: “He will baptize you with the Holy Spirit and fire” (Luke 3:16), the fire of zealous love (Song 8:6)? John would know, Jesus referred to him as a burning lamp (John 5:35). Lord, fill us all with the fire of your love, igniting a holy passion for your Name among all your people, that the world might also believe! I can love the meaning behind the quote and still honor those who fulfill their purpose in watching over truth. Thank you, Kevin, for helping us stay honest. It most certainly does matter who said what and when. I beleive it was Billy Sunday who said that.